Last week, during our vacation in Bend, OR, my husband and I hiked up from Paulina Lake in the Newberry Caldera to the Peak. 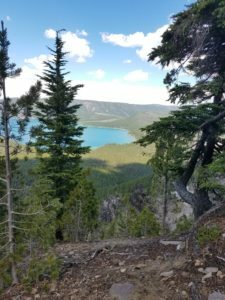 The entire hike was beautiful—the lake with its ducks and boats and view of the surrounding ridge, the forested trail with its varied trees, obsidian rocks, and occasional deer, and then, of course, the expansive view from Paulina Peak. We could see the lakes and lava flows below us, the sky and clouds and approaching thunderstorm above us, and mountains off in the distance: Three Sisters, Mt. Bachelor, Mt. Jefferson, and even Mt. Hood. It’s the view from the top, the ability to see in all directions, to see what’s coming (like the thunderstorm) and where it’s headed, that is most necessary for leaders. Yet, as I hiked up that steep hillside, I realized how you get there matters. 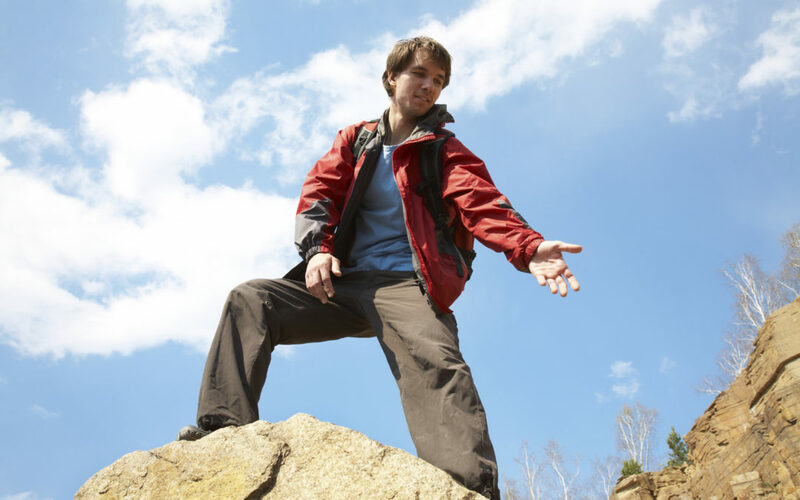 There are four types of leaders hanging out at the top of the mountain. Which one will you be? Some people are born and raised at the summit. Perhaps they’ve always had perfect health or landed an amazing job right out of college. No struggle required. They are intimately familiar with the mountaintop and often have great insight. However, they lack credibility. Most of us assume their experience doesn’t relate to us. Some people are dropped off at the summit via daddy’s helicopter. They’ve seen the valley. They’ve seen the vista. They know nothing of the climb. We distrust their leadership skills even more than The Native’s. Some people make the arduous hike to the top of the mountain, and then once they are comfortably installed there, forget where they came from. Entranced with the view from the top, they forget the experience of being on the lake and the difficult climb. Instead of helping others up, they look down. What a disappointment! They aren’t interested in actually helping anyone… and we don’t want their help anyway! The leaders we relate to the most are the ones who have “been there, done that.” Yet rather than use their experience to elevate themselves, they use it to connect. They know the stages of the journey, they remember what it’s like to be where you are, and they communicate their understanding. We trust the leaders who can see the view from the top, yet consider the lake and the climb in their decisions and communication. 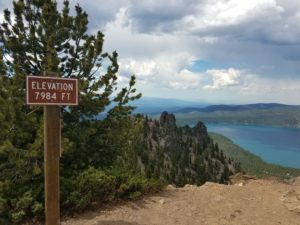 As I hiked up the trail to Paulina Peak last week, what I could see changed with each step. Each perspective was unique, yet each valuable. Your perspective, the one you’re living right now, is unique, valid, and valuable. The more perspectives you’ve experienced, the more people can relate to you, if you remember them and communicate them. You increase your credibility and relevance when you expand your perspective and share it respectfully. Keep climbing. Keep struggling. Keep remembering. Keep sharing.